Doug Herling, CEO of Central Maine Power, is seen in this file photo. The utility is undergoing a “technical forensic audit” examining billing and metering issues that emerged after CMP started using a new billing system on Oct. 30, 2017. Documents filed with Maine’s electric utility regulator show that Central Maine Power managers knew early on that a new billing system had problems, and at least one expressed concern that the issues might spark an investigation. The documents are part of an investigation launched March 20 by the Maine Public Utilities Commission into CMP after customers complained about unusually high electric bills and customer services issues. The “technical forensic audit” is examining billing and metering issues that emerged after CMP started using a new billing system on Oct. 30, 2017. The documents, filed by CMP in response to data requests by the PUC, include two large files of internal correspondence, PowerPoint presentations and images of erroneous readings on meters. Together, the two files total 567 pages of information. They include details about specific problems, including staffing needed to resolve the issues. In a message dated Monday, Jan. 15, almost two months before the PUC said it would launch its investigation, CMP Director of Electric Supply Susan E. Clary wrote to Rachel Grenier, director of customer service, and other colleagues that she feared a large number of errors would trigger a PUC investigation. Clary noted that the previous Friday there were more than 300 “Electronic Data Interchange” transaction billing errors, meaning electricity suppliers might not be getting paid and could potentially complain to the PUC. She wrote that CMP needed to get a handle on the errors and other issues soon or “we will find ourselves in the middle of a Commission investigation.” She also noted there was no easy fix to the errors and that the transactions would have to be redone by hand. Other documents referred to 664 customer accounts that were never invoiced in the software system that CMP uses for its billing. Another document showed complaints including bills that were paid but showed up in the system as unpaid. 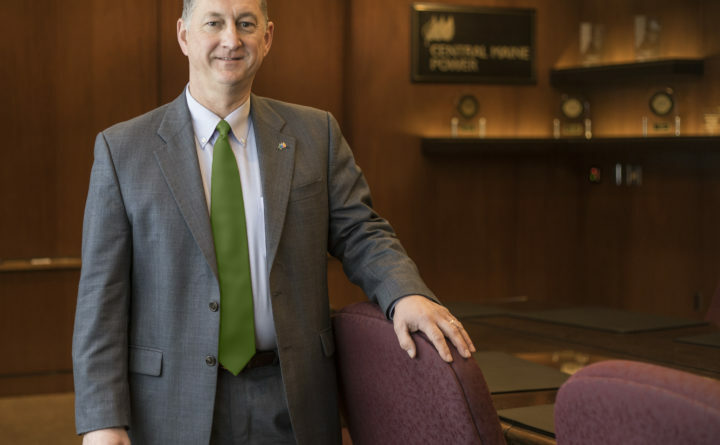 In a conference call with reporters on April 6, CMP CEO Doug Herling said the company has tested more than 1,600 of its meters since January at the request of customers, and he feels confident they and the billing system are working correctly. “We’ve not found anything in the billing system or the smart meter system that would artificially increase customer usage,” he said. CMP has blamed an unexpectedly cold spell in December and January for the high bills, while customers have pointed to the billing system and suspected smart meter failures. The PUC is looking for an auditor for the investigation, which it described as “technical” because of the nature of CMP’s system. All three PUC commissioners approved the forensic audit at their March 20 meeting. “I approve [checking] customer billing from the meter, whether it’s a smart [digital] or analog meter, all the way through to the creation and delivery of a customer bill, which includes both financial and usage information,” Commissioner Randall Davis said at the time. CMP set up a website with frequently asked questions and links to the PUC’s investigation notices. She said CMP submitted a comprehensive listing of issues to the PUC on April 9 in response to a data request in the pending investigation. Rice said CMP had a 27-year-old system that needed to be replaced. “While the new system has been performing its core functions well, there have been some issues affecting small numbers of customers. This is not unheard of given the size and complexity of the project, and not one of these issues was found to have any bearing on the accuracy of metering or billing,” she said. She said when CMP found an issue, it immediately worked to find the cause, fix it and report it to the PUC. The commission is reviewing the “voluminous” information provided by CMP over the past several weeks and will likely follow up with further questions, according to Mitchell Tannenbaum, the PUC’s general counsel. It expects to select an auditor in the near future, he wrote in an email. Maine Rep. Seth Berry, D-Bowdoinham, House chair of the Joint Standing Committee on Energy, Utilities and Technology, said the internal emails appear to tell a very different story than his committee has heard from CMP. Public Advocate Barry Hobbins told Maine Public he is calling for a more comprehensive investigation into whether CMP covered up ongoing issues. The PUC files on CMP may be read here and here.